It’s been an exciting year of growth for Jama, evidenced by close to doubling of employees this year. One of the ways we initiate our new employees is through Orange Week, a quarterly orientation. 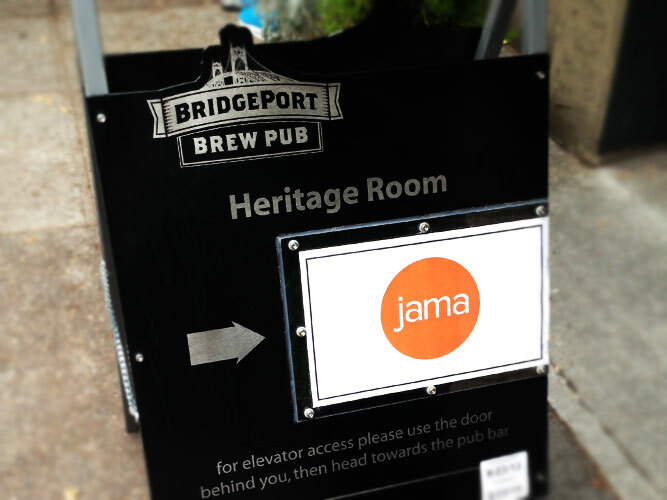 What started as pizza in a conference room has evolved into a three-day Jama University. During Orange Week, new employees are hosted in a nearby offsite location, where they get a crash course in the history of the company and get to know each department. Orange Week Q3 2013 included coffee and a lesson in the history of Jama with CEO Eric, a mini-seminar with employee #4 Steve, titled “What are Requirements?” and a very informative round of Two Truths and A Lie with Colleen, our Director of Finance and Operations. Also on the agenda were presentations detailing the inner workings of each department, a hands-on Jama training and a sprinkling of informative and borderline-cheesy-but-still-funny icebreakers for the 15 new recruits. The lasting impact of Orange Week is the class gift. The spirit of Orange Week and the personality of each class shows through with the selection and purchase of a gift. In the early days at Jama, we had a grocery fund called the $440 Fund (pronounced “four-forty”). (When we did the math originally – X number of employees multiplied by X dollars per month—the total was $420, but for obvious reasons we didn’t want to have a fund called the four-twenty fund…so we added $20 and ergo, the four-forty fund was born). Each month a different employee was given $440 and put in charge of groceries for the company for the month. This meant that some months we had a nice mix of fresh fruit, granola and yogurt in the kitchen, and other months we had cases of Cup-a-Noodle and Kirkland brand GORP. One favorite was the month that someone stopped at a local bakery each morning and brought in fresh-baked, still warm artisan bread and butter. We long ago outgrew a monthly grocery allowance of $440, but wanted to keep the legacy of the $440 fund at Jama, so fast-forward to present day. Orange Week class is given $440 to purchase a gift for the company. 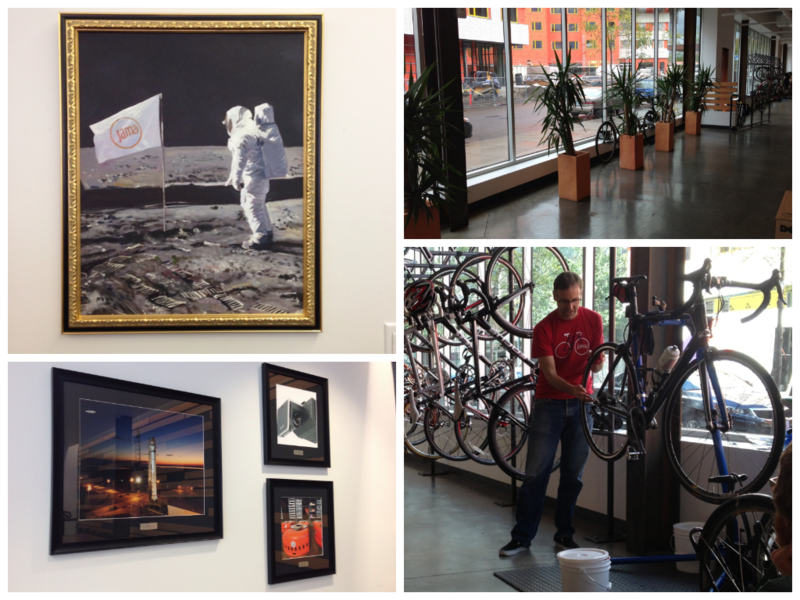 Past gifts include potted plants to warm up our brand-new office, a bike repair and cleaning station, framed photographs of our customers and the work they do and a commissioned oil painting of an astronaut planting a Jama flag on the moon. Each gift has represented not only the unique character of each Orange Week group, but is representative of a point in Jama history. Plus, we’ve allowed new employees to contribute to the shaping (and decoration) of their workplace. I can’t wait to see what our Q3 2013 class comes up with! Be sure to check back on our careers page regularly to see what positions are open.